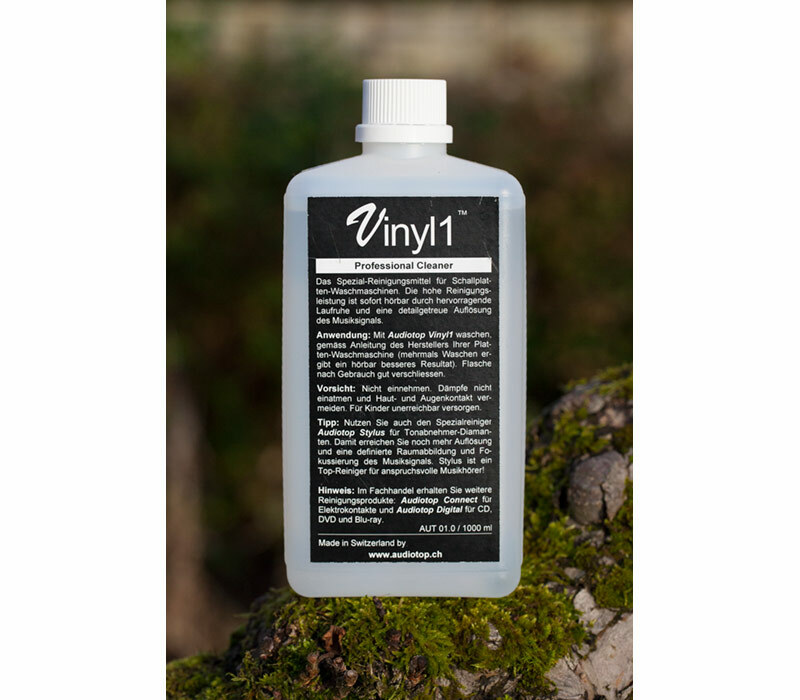 Audiotop – Vinyl 1 is a special detergent for use with vacuuming record cleaning machines. The extraordinary cleaning power is immediately audible due to the smooth and silent gliding of the cartridge diamond in the groove resulting in improved detail of the recorded music. To further enhance the result we recommend the after-treatment, Vinyl 2. The improvement has to be heard to be believed and even brand-new records will profit! Please note: The products should not be swallowed, the vapours not be inhaled. Avoid contact with your skin and your eyes. Keep the products far removed from sunlight, heat and open fire. Keep them out of reach of children. We will not accept any liability for personal injuries or damage to property, in the case of inexpert use of our products. Formula: Mixture of an highly purified (99,999%) non specified substance, purified water (repeatedly distilled and purified) and special surfactant. Always subject to changes, e.g. chemical composition of the products, directions for use, precautionary measures, etc.! The most recent updates (2009.04.) will replace all previous descriptions and will render them obsolete.